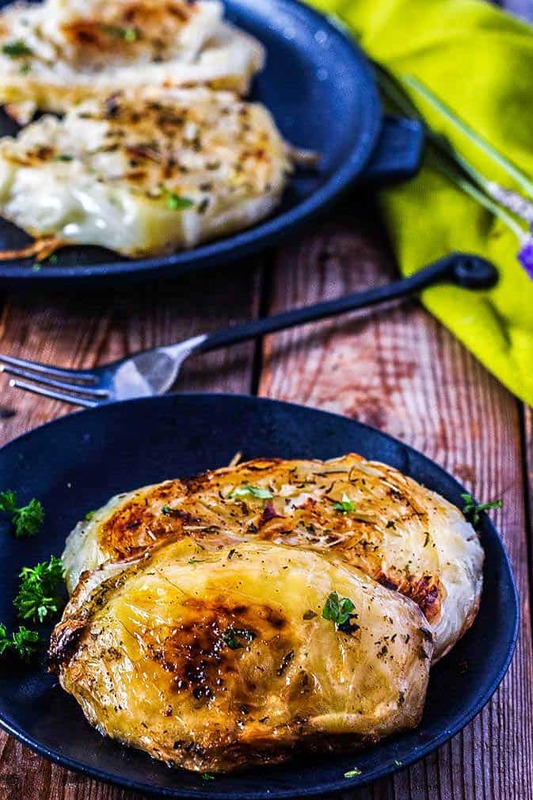 Delicious Roasted Cabbage Steaks, thick slices of cabbage rubbed with parsley, sage, rosemary and thyme and roasted until tender and juicy. 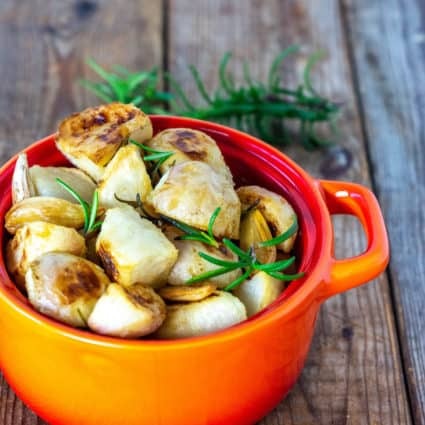 Perfect main dish or side for St. Patricks day! Here in Florida, the fields are laden with mature cabbages. It is so pretty to drive by miles and miles of cabbage, along with kale, mustard greens, beets etc. I'm always trying to find unique ways of preparing cabbage. 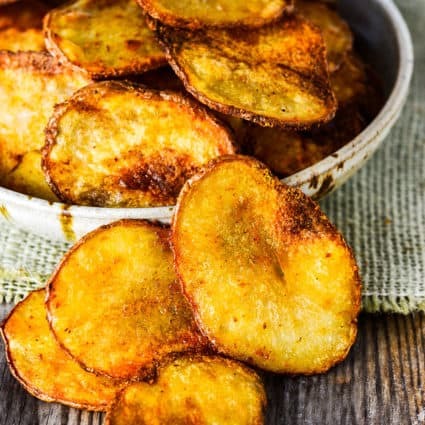 Growing up my mom would cut a whole cabbage in 4 thick wedges and steam with chopped onions, garlic, and herbs in a large pot with a little oil and water. It would cook until the water disappeared and the onions were caramelized. When I first made it for my hubby this way, he was blown away by the delicious sweet taste and he fell deeper in love with cabbage. He also loves when I make Curry Cabbage, Vegan Cabbage Soup, and my Cabbage Ball recipes. How To Cut Cabbage Steaks? Remove the outer leaves, remove the stem and wash cabbage. With the stem side down on cutting board, cut 1/2 inch slice of cabbage. How To Make Cabbage Steaks? I made this Roasted Cabbage Steaks once before and I didn't like the results, I roasted the cabbage steaks and they weren't tender to my liking. This time I wanted them to be tender and juicy and melt in your mouth delicious. So, I seared the cabbage steaks to keep the texture on the outside crisp and golden brown and the moisture on the inside. I then slow roast then covered in the oven for 35minutes. Then I roasted them uncovered for another 5 minutes. These were so tender and delicious. So, if you miss preparing corned beef and cabbage for St. Patrick's day, now that you are eating plant-based meals, then this recipe is just for you! If you looking for a creative side dish then this recipe is ideal. It is easy to prepare and tastes amazing with my simple herb blend of parsley, sage, rosemary, and thyme. What To Serve Cabbage Steaks With? 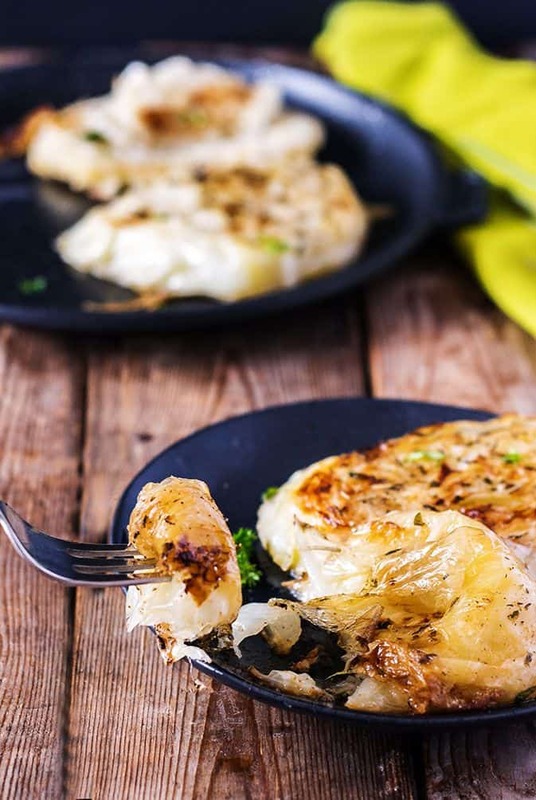 Place cabbage steaks in a large skillet or heated cast iron pan and heat on both sides for 2-3 minutes on medium-high heat. Preheat oven 400 degrees F. Line baking sheet with lightly greased parchment paper. In a large bowl, toss cabbage slices with 1 tablespoon olive oil. Combine parsley. sage, rosemary, thyme, garlic powder and salt in a small bowl. Sprinkle cabbage slices with seasoning blend. Heat the remaining oil in a large skillet on medium high heat. Lightly cook cabbage slices for 4 minutes turning halfway until looking golden brown. 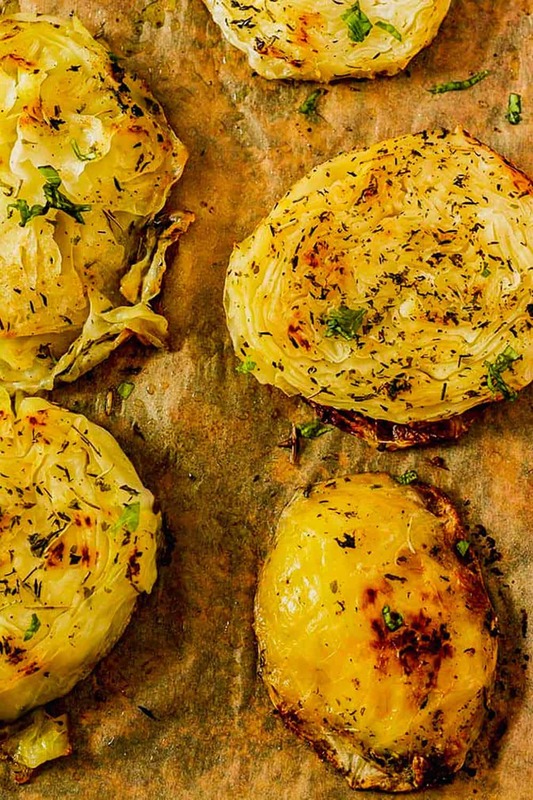 Place cabbage slices in a single layer on prepared baking sheet. Cover with a second layer of parchment paper, followed by foil paper. Roast for 35 minutes covered or until cabbage steaks is tender when fork is inserted. You can uncover and roast for an additional 5 minutes. Serve immediately. Although it says “Serve immediately”: Is there a way to prepare this and reheat to bring to a dinner party? I was looking for a roasted cabbage recipe ( basically instructions), and found this. I’ve seen several recipes for cabbage steaks. For the life of me, I can’t figure out how you all were able to cut such nice neat slices. I just tried, and could not cut off nice slices. Mine came all to pieces. Admittedly, my cabbage was rather tough wih lots of thick corelike “streaks” thru it. But I’m not even sure if I had a cabbage without those “thick veins”, I’d be able to cut nice neat slices. I finally gave up on mine, and cut small wedges (I’ve seen roasted cabbage cut in wedges also), and I pilled all the loose pieces up together on the pan, and seeing how that goes. It’s in the oven now. We’ll see. Try using an electric knife for even slices! I made this. I used avocado oil instead of olive and the only seasoning i used was salt, pepper and minced garlic. Sooo good. Thank you. What would you serve with the Cabbage Steaks? I would serve it with my caramelized mashed potatoes and gravy. Both recipes are here on my website. Enjoy. Another genius idea! 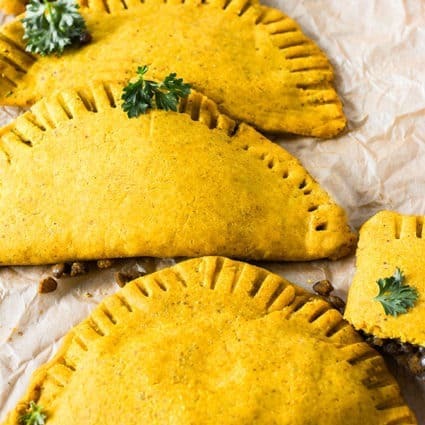 The St. Patty folks may want some thing pink to go with this and I bet kidney beans would go great with this instead of the corn beef… that’s what I would/will do SOON. Thank you! Dunori, that’s a great idea, so cool. Don’t forget to add some potatoes as well. This looks very yummy. Would be great to make this for a Sunday lunch! Oh wow! They don’t even look like cabbage. Love all the spices! its almost lunchtime here in Manila, and am thinking what to eat for lunch. OmG your recipe makes me super hungry! This looks amazing, and reminds me of how my mom used to make cabbage. She did the same thing, steamed it with onions, garlic, and a bit of celery salt. Delicious! I can’t wait to try these steaks. These look very good. I will have to try these. Luckily I love cabbage! Sounds delicious! The other cabbage recipe you mentioned about just steaming it with onions and garlic…what herbs did you actually use? I really want to try that recipe. I love my vegetables and like to try different variations. Traditionally she would add thyme, scallion, a pinch of allspice and Scotch bonnet pepper but I add Italian seasonings to mine. Oh my goodness!! This looks so delicious!! I need to give it a try one night for dinner. Those look tasty!! I would have never thought to cook them this way. The perfect St. Patricks Day food! Not really a fan of cabbage but would definitely try this! What a very yummy cabbage transformation. My niece loves fried vegetables with breading but this baked cabbage was uniquely wonderful. Had this for supper tonight- cheap, filling, healthy but best of all it is so very good to eat. Awesome so happy you enjoyed it. Yes its very cheap at 30 cents per pound in the stores now! My hubby and I are in a health kick- we are going to need to try this! So I pinned this immediately because I looooovve cabbage and my boyfriend has currently given up meat for lent. This is too perfect not to try. Thanks for the idea! Thank you Esse, hope you enjoy it! I would have never thought of this, but its brilliant. Gotta try this. Thank you Stacey, hope you love it! Looks like a really healthy alternative. I’ll definitely need to try it. Wow this looks really delicious, would definitely try this recipe! Pinning! I need to try this asap…what a wonderful idea! Roasted cabbage is always so good and melt in your mouth! I love cabbage! But never seen it cooked this way! Definitely giving this a try! i am always blown away by different uses of vegetables. i had my first ever mushroom steak burger and was delicious. i will have to try this next time. i definitely dont use enough cabbage. These look amazing! I’ve made cauliflower steaks before, but never cabbage steaks. I love this idea! Holy moly! That looks SO good. I have a head of cabbage in the fridge right now. I’m going to try this!